Everyone is talking 2016 as the year of digital convergence. Emerging technologies and business models are creating new ways to attract, engage and convert shoppers into buyers. And we all know that the new normal are shoppers in a constant state of partial awareness with mobile phone in hand – just like I am right now, one eye on the kids, one on my iPhone and the fingers typing while I am searching flights to Australia to go see my Dad and respond to Facebook all simultaneously. So it’s exciting to see when retailers take this digital convergence to a new level of excellence by integrating technological solutions into meaningful opportunities and innovation driven by shopper’s needs and desires. Seamlessly. Truly engaging the “on-my-terms” shopper, these in-store experiences are built around the mobile and digitally connected customer and embraces the understanding that they may research online, purchase in-store, or touch and feel the merchandise to purchase online later. But some have evolved beyond that cleverness to a Total Retail interpretation - understanding that the journey is just as important as the destination. Once such player regarded as best in class is Sephora. 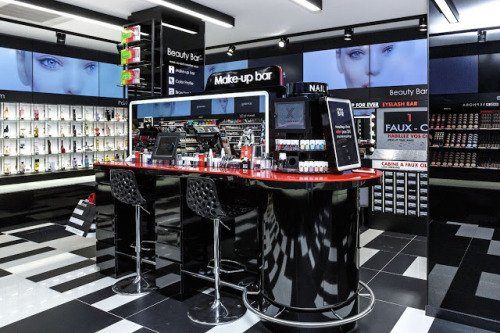 Sephora continues to embrace Total Retail incorporating technological solutions into many parts of the shopper journey. On a recent visit to their new flagship ‘phyigital’ store in San Francisco, not only can you continue to touch, feel and smell but you can be truly creative and play, explore and imagine many other possibilities to create your best look. The store in Powell St opened late November 2015 with the store featuring many solutions and the ability for hands-on experimentation. A key feature is the Beauty Workshop station, where up to 12 customers at a time can take a make-up class taught by team members and supported by video tutorials. 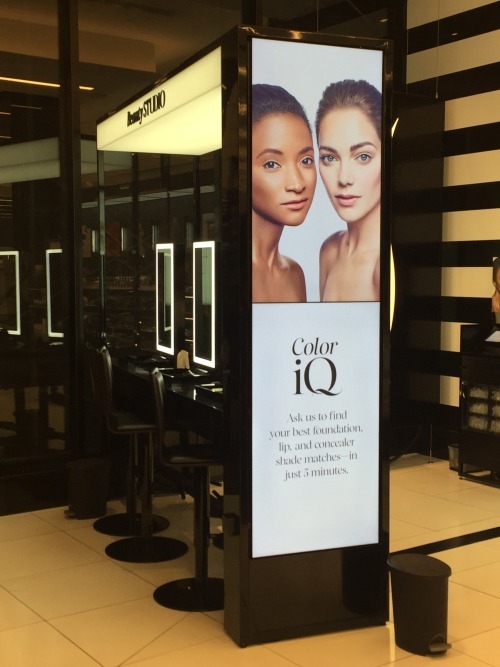 The digital Beauty Board; a shoppable screen, is where shoppers can explore user-generated content and find the products they like instore, but go further to filter products best for their skin type and colour. 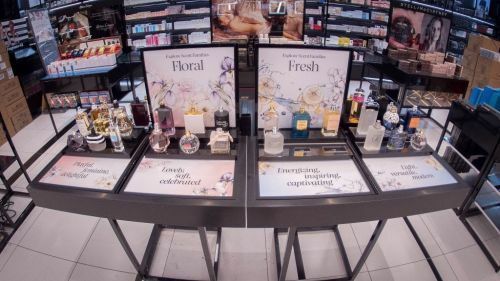 These are supported by Digital Trend Tables that display the store’s best-selling and best reviewed products in real time. Much of this content is repurposed online and on mobile. Shoppers can read product reviews, watch video tutorials and read articles about products. They can also sign up for Sephora Flash, a free, two-day shipping membership. 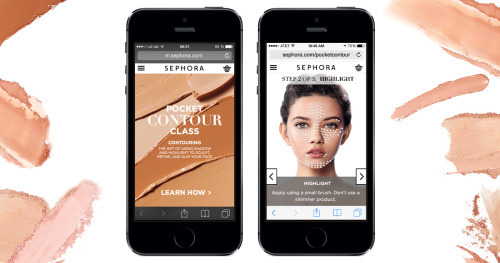 The Sephora’s mobile app, has an exclusive feature being a “pocket contour” makeup tutorial. It uses a shopper’s photo, and an augmented reality makeover that serves up personalised recommendations based on the user’s skin type and tone. Which technology is right for my business? 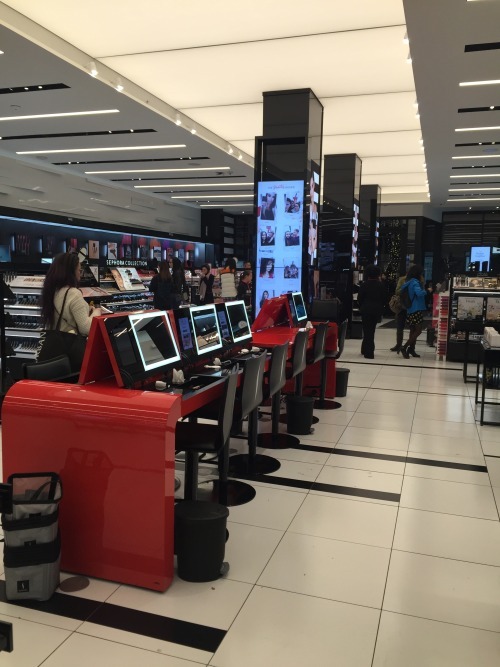 Sephora has a very clear view when it comes to utilisation of technology. It’s not about having the newest flashy gadget, their intention is to “help our clients.” What most impresses me about Sephora is that they state the obvious and then deliver on it. For example, all Sephora experiences must have information and accessibility that matches the size and purpose of the screen the shopper is using. If you are shopping whilst at home cooking dinner, then the experience must match that. 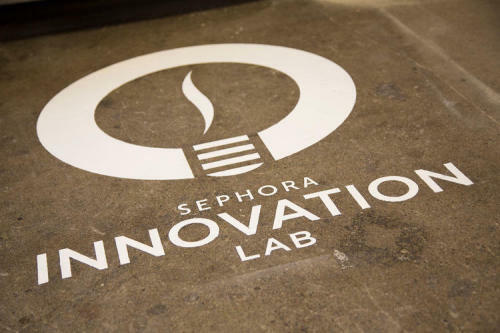 Just over a year ago, Sephora Innovation Lab was born inside their San Francisco headquarters. Their aim: to figure out what a beauty brand looks like in a world changed by technology and how to apply this to their shopper journey; in-store, app, online, wherever. 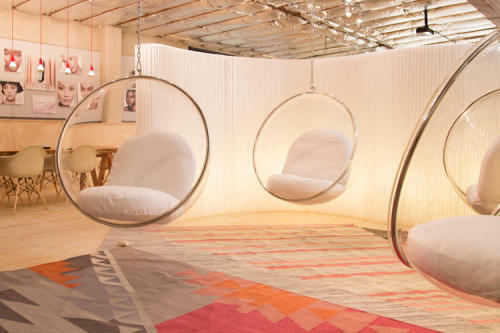 Located in a warehouse and outfitted with a mock storefront, the lab is responsible for taking ideas for new products, perfecting them, and launching them. 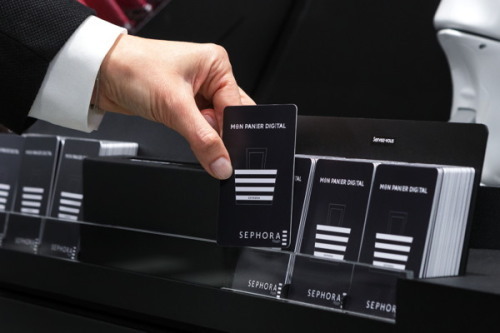 With a focus on teaching shoppers about products and techniques, Sephora understands that today’s shopper is savvy and wants to understand a product, why it will work for them and how to use it. The store is less than a tenth of the size of its largest store yet remains a rich and engaging experience. With approximately 60 products on display, touch any interactive terminal and 14,000 are available to you in an instant. Seamless integration is apparent. You can choose a traditional shopping basket or a digital shopping basket from a robot called Nao. This credit card size “Panier Digital” has embedded NFC meaning you can load while you browse and then pay at the checkout for delivery or to pick-up. Physical experiences are still high on the agenda with a lash and make-up bar, then snap a selfie with a connected wall mirror. 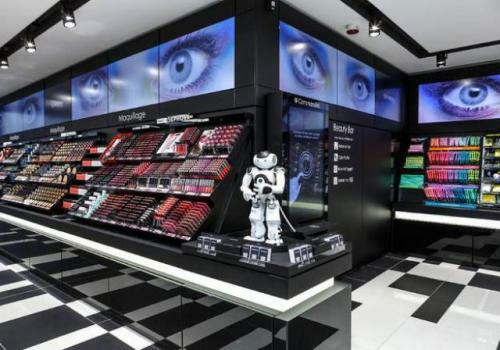 Sephora have confirmed there are plans to retrofit some digital enhancements into older stores. Beacons will be heavily utilised to serve shoppers instore maps, promotions and shopping capability as well as rich content. What this demonstrates to NZ retailers is you don’t have to have a one size fits all. That doesn’t make economic or shopper sense. But ensuring that the user experience is seamless and fluid whenever, wherever or however they shop, is critical. A nimble, holistic and fluid ecosystem, Sephora is making it possible everywhere, that no matter where you’re shopping, you will leave with something. This was republished from Juanita's blog, Retail Geek.